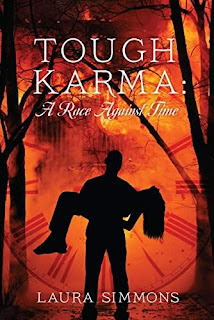 This romantic, suspenseful tale features interesting characters with varying levels of psychic ability who work together to overcome a series of obstacles when trying to save a woman’s life. Amber Macklin’s world is shattered when she loses her baby girl three months after her husband’s sudden death. Her cousin, Bryce, comes to her rescue, providing solace and a shoulder to cry on. He has loved her as more than a cousin for a long time. Amber and Bryce soon discover they are not blood relatives, which opens the door for romance as he pulls her through her darkest hours. When Mike, a college friend of Bryce’s, stops by to visit, Amber senses a deadly secret behind his nice guy persona. She has a frightening dream that Mike is trying to kill her and recurring sleepwalking episodes where she draws detailed pictures of him torturing her. Deeply troubled, Bryce uses his ability to astral travel to investigate Mike and uncover his terrifying past. When Mike learns that Bryce and Amber have become lovers, he is furious because he wants her for himself. Mike abducts Amber and takes her to his rural Georgia hideaway, and Bryce must rely on his astral abilities to track her down. But will he be too late?